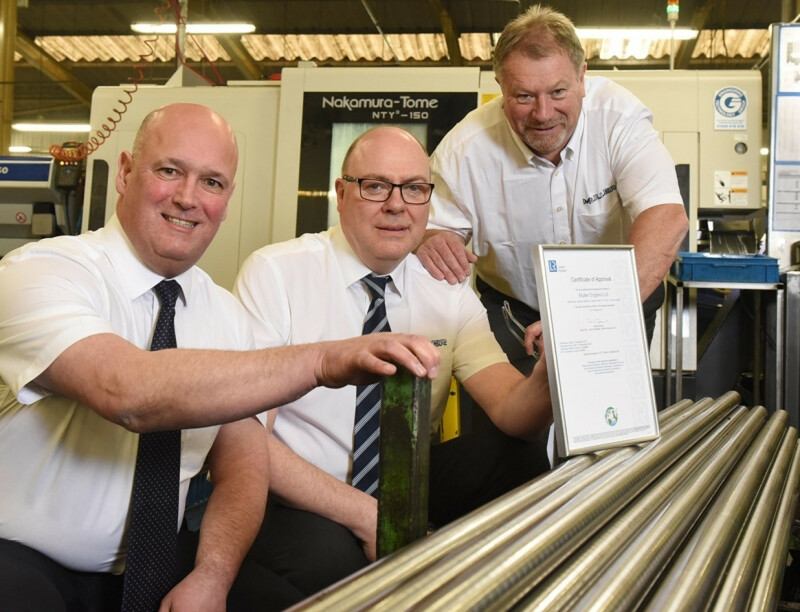 Uncategorized Shropshire-based machining specialist Muller Holdings has become one of the first manufacturers in the UK to secure a prestigious new automotive quality accreditation. Muller, which employs 90 people at its headquarters in Cleobury Mortimer, has achieved the International Automotive Task Force (IATF) 16949 standard, which is now being used by leading car manufacturers and tier 1s when awarding new contracts. The new standard replaces the TS approval and is vital to the companys desire to build on the more than £7m of orders it currently has supplying CNC machined and high volume parts for use in heavy duty braking systems, engines, electronics and door brackets. The process took just twelve months to complete, from initial planning to mobilising the quality team and ensuring that everyone knew what was expected of them to ensure the 21 changes in specification were successfully met. Stephen Lock, Managing Director of Muller South Wales, said: IATF replaces TS in September and is a lot more risk based, covering risk evaluation and analysis within all aspects of the business. Comprehensive training plans were rolled-out to get buy-in across all of the firms sites in the Black Country, Shropshire, South Wales and Worcestershire. Muller Holdings, which has increased its workforce to 130 people over the last 12 months, specialises in CNC milling, turning, multi-spindle and CNC/Conventional escomatic manufacturing services. The IATF standard, which is held by all of its four UK sites and the factory in Manesar in India, puts the firm in a perfect position to not only retain existing automotive work, but also explore additional contracts to produce parts for new model platforms in the UK and overseas. This approach is already paying off, with £300,000 of new orders recently secured with Wabco and THK Germany. In addition to its automotive work, Muller Holdings also supplies components ending up in dental products and appliances that keep homes and factories warm. Pictured from left: Adam Cunningham, Stephen Lock and Paul Bethell, all Muller Holdings.